The Payroll Export is all of your time from a pay period in a format you can use to pay your employees. To access the Payroll Export go to the Reports heading and select Payroll Export. You will get a few options when running the report. 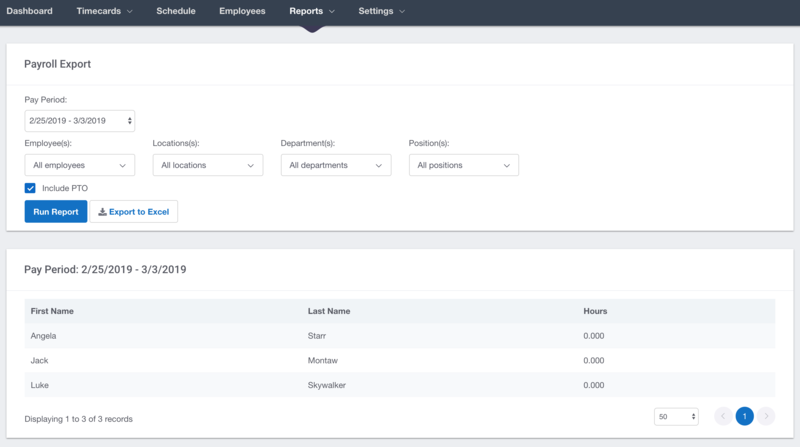 You can filter by Employee, Location, Department and Position if scheduling is enabled.